"Marvel's Iron Fist was Tarnished and Missed the Mark"
After so many good Marvel Netflix shows, I was, like many fans, eagerly awaiting Marvel's Iron Fist. I recall there was a delay in the series, and that many were uncertain how the character would translate to the small screen. Even still, after the premiere of yet another successful Marvel series – Marvel's Luke Cage – I put away all my concerns and doubts, and felt confident Marvel's Iron Fist would be another runaway success - I was wrong. 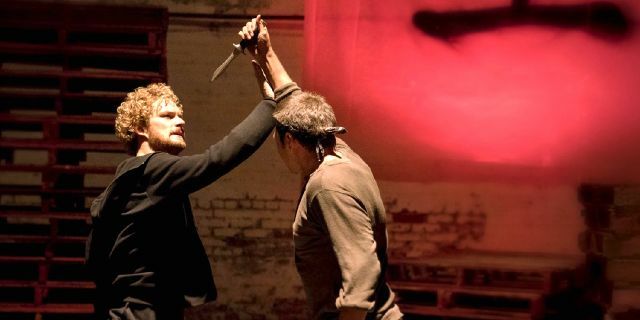 Marvel's Iron Fist was not a horribly bad series, but it will definitely suffer much criticism, including from me, because it just didn’t live up to the standards of the previous Marvel series on Netflix or the hype surrounding the series' premiere. The show had several near fatal errors, but it did show me enough that I still believe it can be salvaged and turned around during a potential second season. More on that later. As it stands, here are some of my main concerns about the first season. Warning, there are a few spoilers. 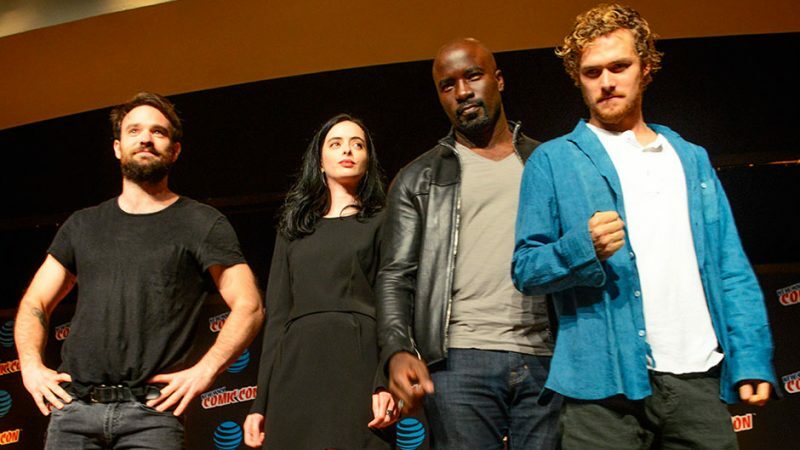 Weak Acting by Finn Jones There has been much made of casting a white actor to play Danny Rand in the 21st century and our more culturally diverse entertainment universe. That aside, Finn Jones really gave a poor performance. 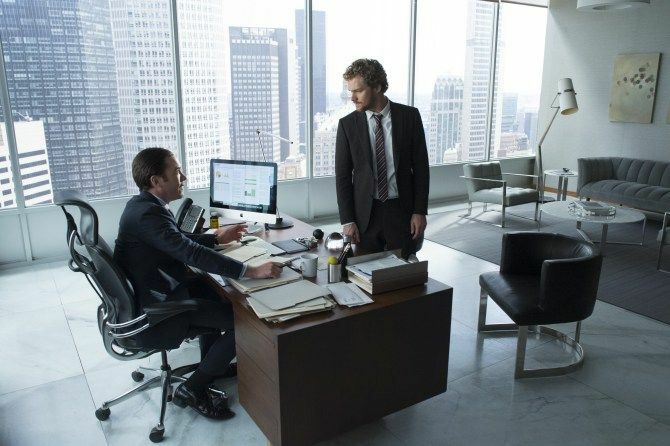 I wanted to give him the benefit of the doubt in the early episodes, but his whiny, half-hearted portrayal of Iron Fist never seemed to improve throughout the entire season. Was it the writing of the character for the series? The direction or lack of vision from the producers? I’m not really sure, but I was hoping for so much more. Perhaps an Asian actor would have made a difference, and could have brought more depth to the character. It is too late now, and we will likely never know. At the end of the day, Finn Jones was not the answer. 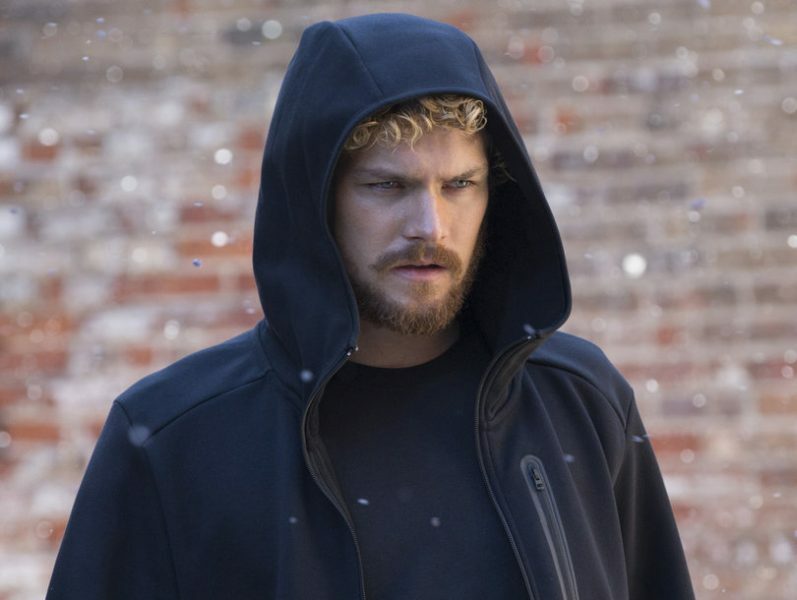 Poor Storytelling/Storytelling Style The way the Marvel's Iron Fist story played out was very disappointing to me as a viewer. I don’t know if it was due to budget constraints or what, but we didn’t see anywhere near enough of K'un Lun, or of Danny’s time there. We heard vague mentions and some partial visual recollections, but we never really were treated to a true imagining of the mystical city in any episode. Along the same lines, we also never really felt a connection to the Rand family, a good understanding of the Hand (compared to the Marvel's Daredevil series), or the feeling of the strong relationship between the Rands and the Meachums that I felt I was supposed to feel by the end of the series. Instead of actually caring about those things, I felt as though I was supposed to care about all of it but I was never truly given a reason to do so. In 13 episodes there should have definitely been some places for me to make a better connection to all those things, and it just didn’t happened. Again, it is probably unfair to compare Marvel's Iron First to the previous Marvel Netflix offerings, but it is going to happen. Those characters and those stories from the previous series - like Marvel's Jessica Jones or Marvel's Luke Cage for example - allowed for a much greater connection to the their characters than anything in Marvel's Iron Fist. Poor Martial Arts Choreography For Marvel's Iron Fist to be first and foremost a story about a martial arts hero, we as viewers had to wait awhile for any significant martial arts battles, and those that we did see were weak to comical at best in many cases. I was expecting so much more, and unfortunately I was thoroughly disappointed. 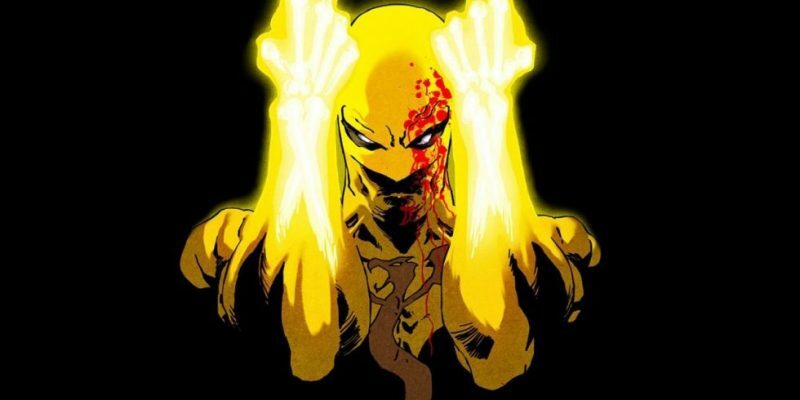 Iron Fist didn’t seem to me like he could best any number of Marvel Cinematic Universe fighters – I kept thinking to myself that Daredevil, Agent May, or many other characters could wipe the floor with him, magical Chi or not. I contribute that to poor direction, execution, and realization of the main character. Again, I kept waiting for something better to happen during the series, but sadly it just never came. Limited Action/Adventure Scenes Along the same lines, Marvel's Iron Fist reminded me a lot of the first season of Marvel's Daredevil, where it took several episodes to really get into any significant action. That was corrected during the second season of Marvel's Daredevil, and perhaps that will also be the case if there is ever another season of Marvel's Iron Fist. 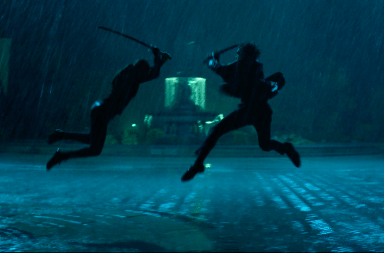 With the plethora of great martial arts films out there, the expectations were high for Marvel's Iron Fist to deliver on the action side of things. 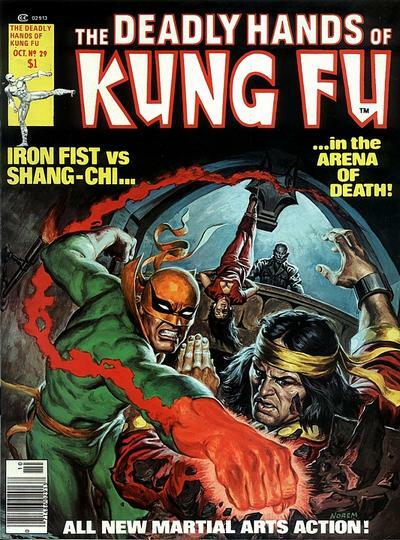 Though there were some great individual battles (for example Iron Fist versus the fighter portrayed by Lewis Tan with the drunken style), overall the series just didn’t have enough action scenes, the adventure in general was rather bland, and it seemed to me all the dialogue was used in some ways to hide a limited budget or perhaps overall lack of creativity or story. Very disappointing as a viewer, and I expected much more. The Asian Lead Problem The Asian lead situation has to be addressed, even though the character was originally a white male in the source material. Marvel has changed the race and gender of characters before for film and television, so many were expecting (or at least hoping?) they would do so with Danny Rand. They did not. The perceived poor performance of the series will definitely bring all the critics out with “what if” scenarios about a strong Asian male and how well he would or could have done as Danny Rand. Hey Marvel, how about that Shang-Chi series or movie that has been in discussion? We're still waiting! This series premiering so close to the similarly troubled Ghost in the Shell (with Scarlett Johansson), both the series and the film will now be likely tied together. Would an Asian or Asian-American lead have made that much difference? I have no idea, but I would certainly have loved to see another actor – Asian or otherwise – give it a shot, and provide a bit more conviction and depth of character than Finn Jones. I also wonder how well this series will play in the overseas Asian markets in its current form. We’ll soon see. Positives? Marvel's Iron Fist had many problems, but it certainly wasn’t all negative. I did enjoy the series enough that I look forward to seeing what can be done in season two (and later this year with Marvel's Defenders). Just like those dreaded origin movies, sometimes the second go at it in a film or on television can end up much better for a character. Think The Wolverine compared to X-Men Origins: Wolverine. Even though the Hand story line was problematic for me in Marvel's Iron Fist, I did really enjoy seeing more of Madame Gao. Wai Ching Ho did a great job in an extended role compared to her appearances on previous Marvel Netflix shows, and I’m enjoying the character more and more everytime I see her. I’m anxious to see how she will be used in the future, and I’m also anxious to see more Iron Fist villains from the source material in any future potential seasons. Hopefully they will be visualized correctly. Davos as a potential Steel Serpent so far already has potential. The portrayal of Colleen Wing was a pleasant surprise. 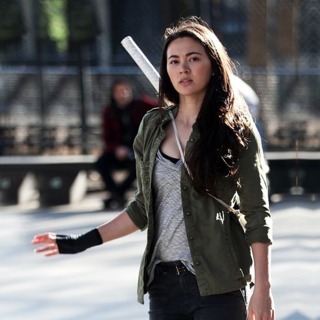 Jessica Henwick was great in the role, and to me seemed almost like she was born to play the character. I look forward to seeing her in Marvel's Defenders, and perhaps her role will be expanded even more on future Marvel Netflix shows. Yet another appearance in Marvel Netflix by Claire Temple was also a welcome addition. Much like Madame Gao, this version of Claire was the best one I have seen thus far. Perhaps Rosario Dawson is getting more and more comfortable in the role, but I loved every minute of her on screen, and I was actually rooting for more of her by the end of the series and less of Finn Jones’ whiny version of Danny Rand. 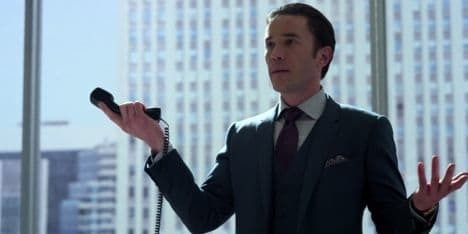 The character and actor I was the most impressed with was however was Tom Pelphrey as Ward Meachum. I didn’t quite know how to take the character at first, but by the last episode we had seen clear growth in the character, and Pelphrey did a great job in displaying that as an actor. He was excellent at portraying the multi-faceted aspects of the character, and I look forward to seeing him in future episodes of Marvel's Iron Fist or elsewhere in Marvel Netflix. I also couldn't help but think what if HE played Iron First instead of Finn Jones? We’ll never know how things would have turned out, but at least we have an excellent version of Ward Meachum that we will likely continue to see in the foreseeable future. What’s Next? A new showrunner and production team need to be chosen for the second season, if there is one. It worked wonders for Marvel's Daredevil, and I think the same can happen again with Marvel's Iron Fist. Perhaps some of the feedback from television critics and fans alike will make a difference for the powers that be. If not, I would prefer no second season. Along those same lines, if there is a second seasons, they should consider casting a new lead actor. That doesn’t happen often in Marvel, but it does happen. Will it likely happen here? Probably not, but a man can dream, can’t he? I’m not fully ready to turn my back on Finn Jones as Iron Fist yet, but I really need him to impress me a bit more on Marvel's Defenders. In Conclusion I really wanted to like Marvel's Iron Fist - I really did. I was truly more disappointed than angry by what we ended up with as a finished product. Perhaps coming so soon after the phenomenal Marvel's Luke Cage, mine and many others hopes were just up a bit to high. Hey, whatever the case, this is show business and Marvel's Iron Fist just didn’t live up to the hype. I am willing to give it another chance in a future season, but just barely.